Our products are approved by the FDA and CE. Stating the high quality of our products. The ULC cap and many of our designs are patented. So you can offer unique products to your customers. We make the life of medical doctors easier. This ULC cap is really easy to instal. 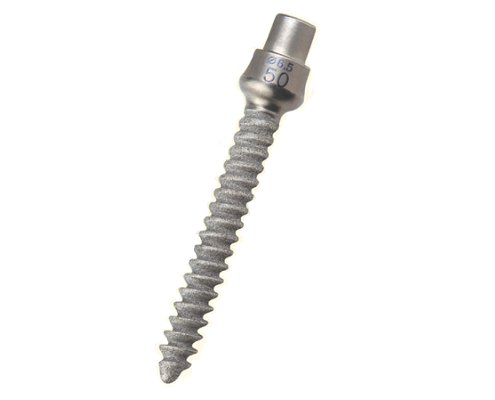 Surgeons will never go back to older screws after using ours. The locking system with our ULC Cap is safer for patients because it reduces drastically the loosening due to stress and movements of the patient. Unique and patented cap. Safer than the regular nuts. 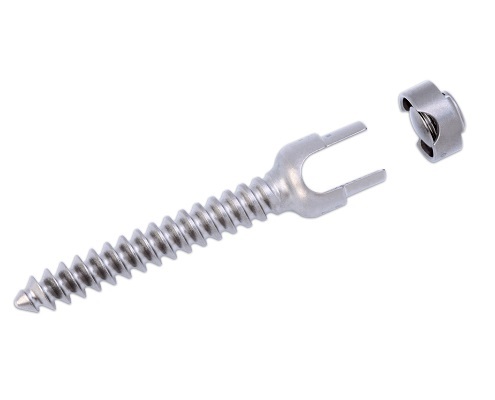 ULC spinal pedicle screw system was developed to help surgeons achieve more efficient spine surgeries. Our proprietary Unitary Locking Cap(ULC) is designed to achieve a super tight screw-rod fixture that provides permanent stable grip and to reduce operating time. The Transverse Connection Bar secures stability against the torsion in the spine axis under treatment with pedicle screws. 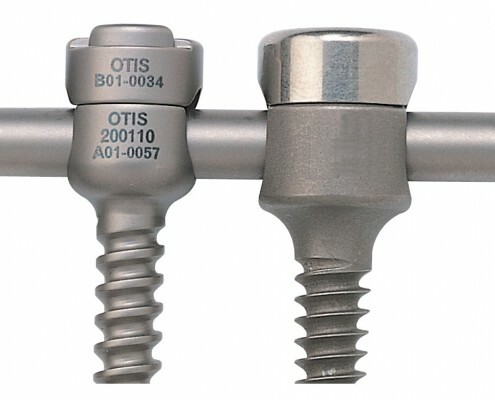 In case pedicle screws are used for the overall spine or local part concentratively, the bar secures the fixing force transversely to stabilize the movement of the rod connected to pedicle screws. 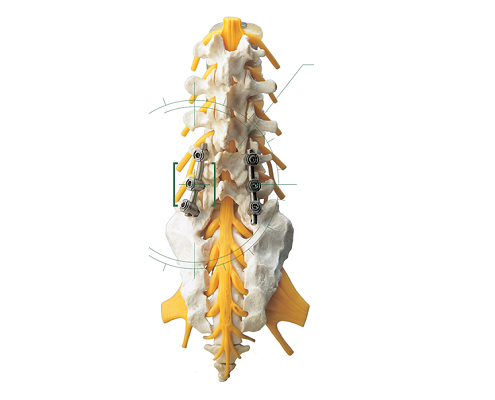 The system is composed of Cervical Screws, Occipital Bone Screws, Occipital Plate (Plus and Arrow Type), and Rod Connectors. 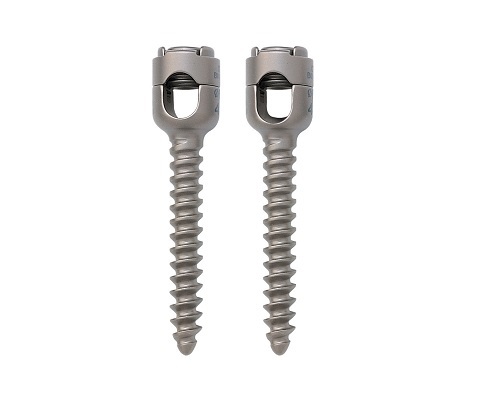 ULC pedicle screw’s superior mechanical properties ensure enhanced performance. 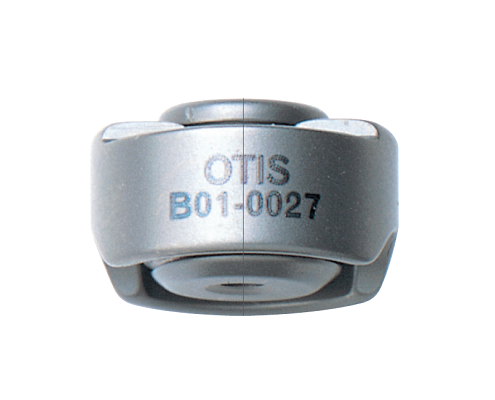 The reduced profile (12mm) was chosen for patient’s maximum comfort post operation. 1. Patented cap (ULC) with Unitary Locking System, safer and easier to install. 3. Special threads for increased safety. 4. 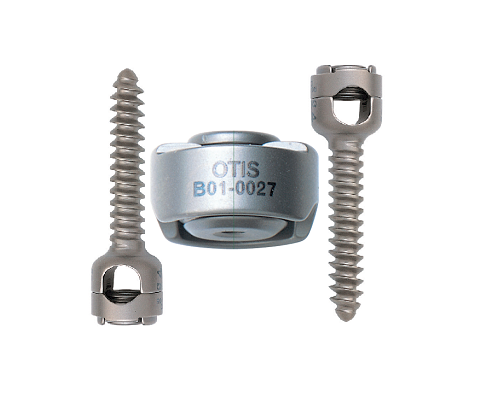 Titanium Plasma Coating (TPS) is our newer screw, special for patients with Osteoporosis. Get to know more about our exclusive ULC cap and plasma spray screws. Download the brochure!